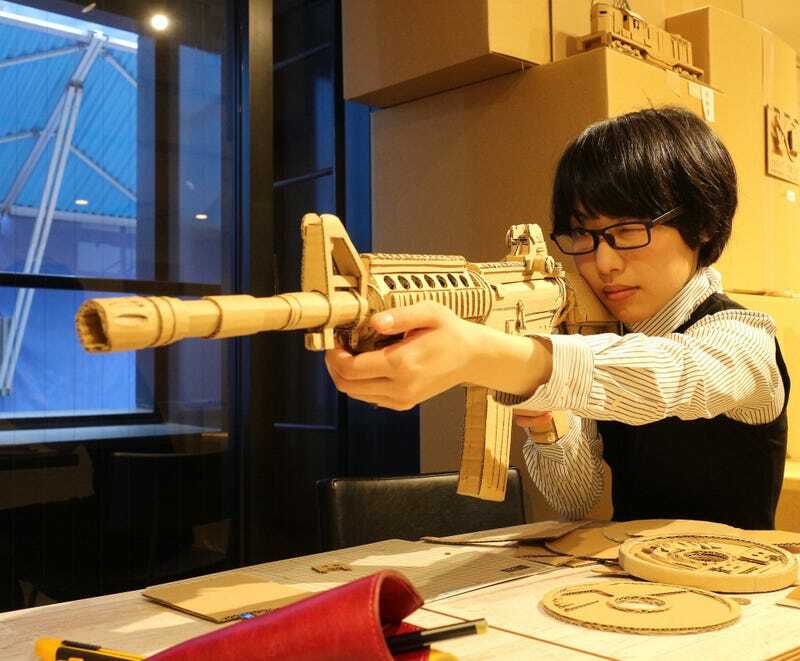 Monami Ohno is a Japanese cardboard artist. Kotaku has previously featured her work, and since then, she’s continued to churn out amazing creations. Her work continues to show an amazing attention to detail, while some are larger in scale. Ohno studied art at university, and her cardboard work has been shown in exhibitions in Japan. Don’t you love that the sign is done in cardboard, too? Ohno has also appeared on Japanese TV. She also holds workshops so others can enjoy creating with cardboard. This article was originally published on May 1, 2017.